September 14th, 2010 (11:37 AM). Edited October 27th, 2018 by dbzmay. The Final Version (2018) has Arrived! You are the child of the poorest family in town. You have no friends and you are bullied constantly due to your economic status. 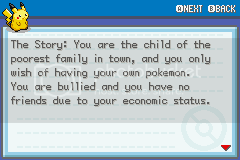 Though you are poor and have no hope of every becoming a Pokemon trainer, you still dream about it. One morning you wake up, and surprisingly the Pokemon professor wants to see you. 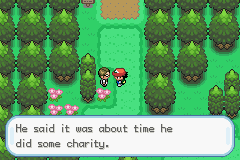 Apparently, his grandson suddenly took a change of events in his life and has taken over the Pokemon Headquarters. You are told to stop him and his 8 subordinates across the region. You will quest to stop the unjust ruler by defeating his 8 subordinates, the 8 genetically modified tyrant pokemon running wild in towns and infiltrating the Pokemon Headquarters. The game is in Final Version (2018). 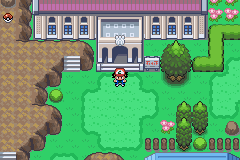 I will be fixing bug updates and be adding a bit of an extra story line after the Pokemon HQ is defeated. But beyond that, the game is done in terms of development. Check out what the game has in store! 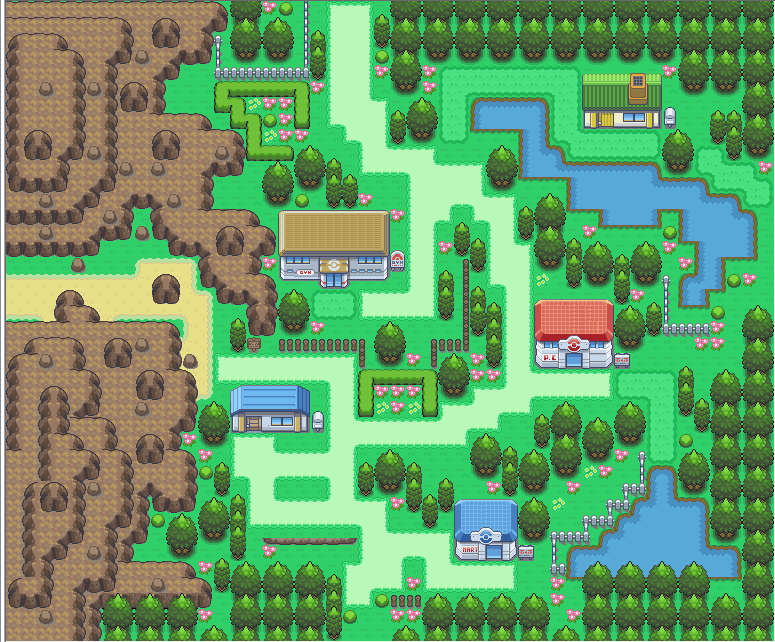 New Region - Entirely new region for you to explore! 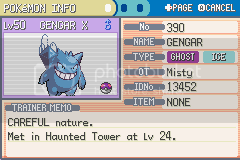 All Pokémon - All Pokemon are catchable, excluding some legendaries. 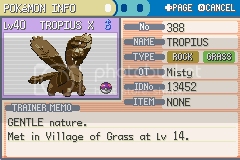 No Trade Evolutions - Pokemon who originally evolve through trades, will do so otherwise. 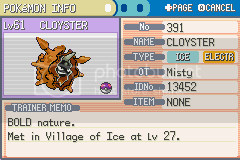 Starter Custom Moveset - Your starter pokemon has a custom moveset! New Storyline - A new and exciting storyline to keep you entertained. No HM's - Only Surf and Fly are used in this hackrom. All TM's Obtainable- All TM's can be found in the game. 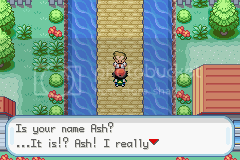 New Hero - Enjoy playing game as Ash Ketchum and Misty (see credits). Final Version 2018 is 99.9% Complete - Whole game has been completely revamped! 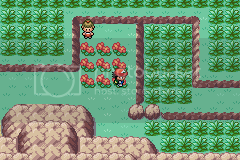 New Pokemon Sprites - Capture 8 genetically modified pokemon with new sprites, movesets and typings! 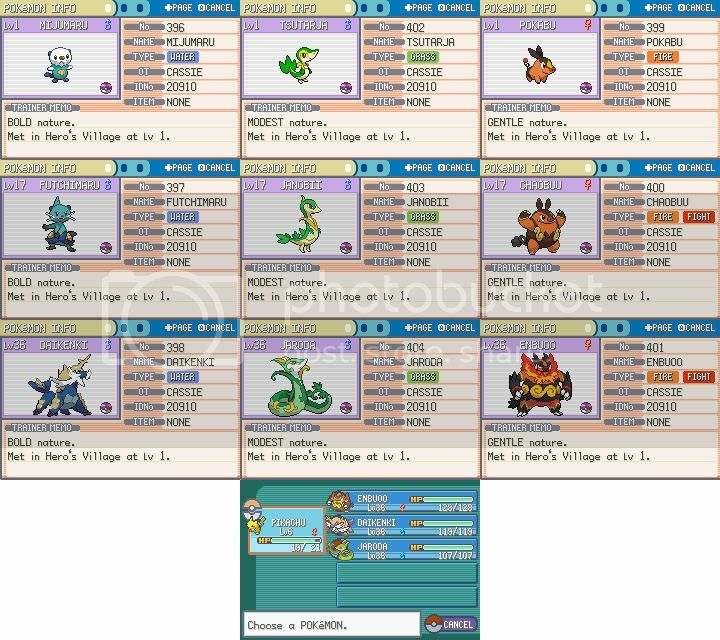 5th Generation Pokemon - Be able to acquire a select amount of 5th gen pokemon throughout the storyline of the game! 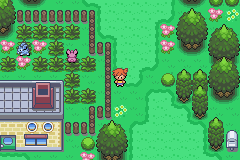 New TileSets - Be amazed by the graphical updates as Pokemon Advanced Adventure has custom made tilesets! After Game Storyline - Battle against the Gods in order to save the earth! An in-depth look into the actual game itself. An in-depth look into some of the newly designed maps. - Frostbite: For this hackrom outline. 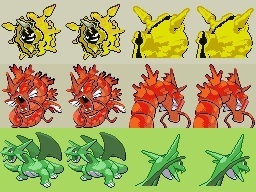 - metapod23: For many of the Ash sprites. 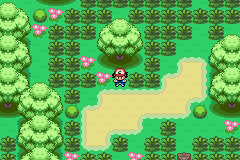 - I make updates: For fixing a vast majority of the tile errors. - Samm - Tile Insertion. - Thrace/Wesley FG: For many of the tiles needed to create this game. 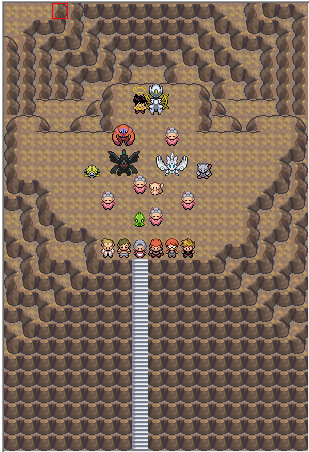 -Remapped all the new maps: Stairway to Heaven/Sages Cavern, etc. -Raichu and Wobbuffet - Only know struggle? 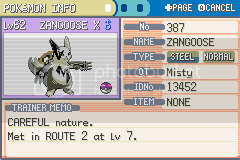 -HQ security pokemon moves, blaizekin using surf? -Whole game game completely revamped in terms of mapping, scripting, storyline, sprites, everything! Sneak peak at the new sprites! 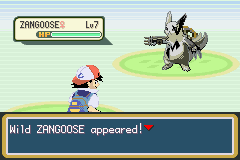 Sneak Peak at Pokemon In-Game! For anyone having problems with progress due to a possible bug, you can try applying the following fix. In your pokemon boxes in the PC, there seem to be some "bad eggs" and even some "invisible pokemon". This has to due with some mis-assigned flags. 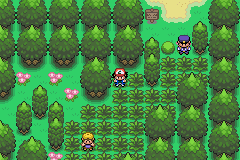 Go through all of your boxes and release all of the bad eggs and invisible pokemon that you can find. This will hopefully fix any errors you are having. A shout-out to Rasengan0 for finding a fix! Amy May has also posted a fix that you can find here. Good luck, have fun! Click the banner to play Pokemon: Advanced Adventure! September 14th, 2010 (3:01 PM). First off, congrats on getting into the showcase. Second, read some mapping tutorials. Third...I'm pretty sure those sprites are private. September 14th, 2010 (3:23 PM). 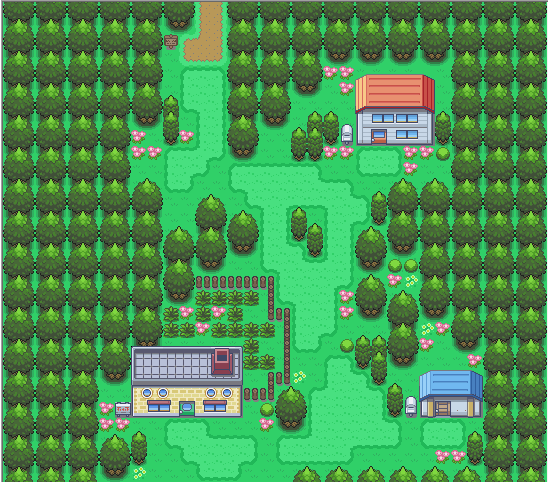 The mapping gets better as the game progresses seeing as i did the beginning maps when I first began the hack with no experience. 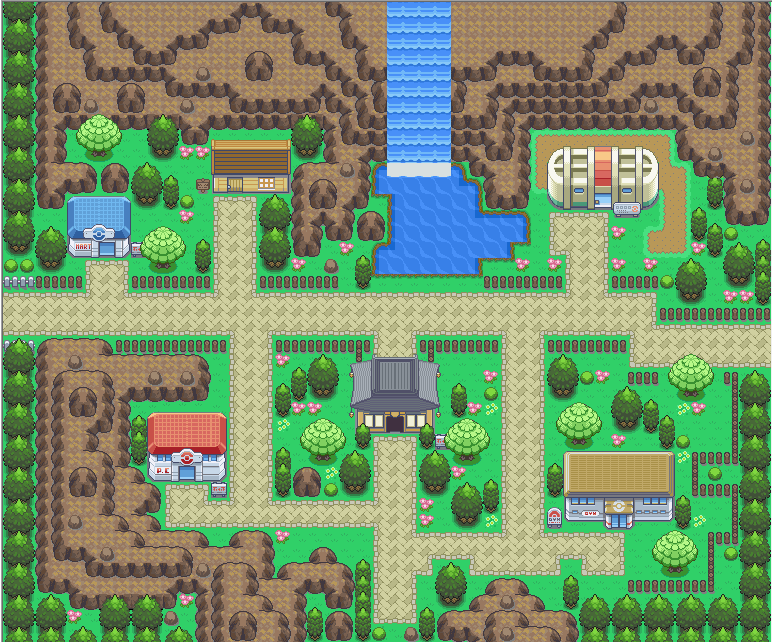 Now that the hack is complete, I will definately fix up the first few maps to make them look more professional. September 14th, 2010 (3:39 PM). September 14th, 2010 (3:46 PM). 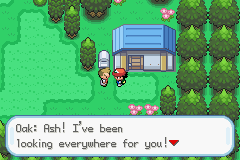 I already PMed Metapod23 about the Ash sprites. 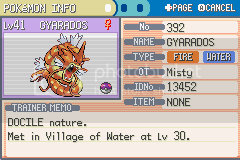 The rest will be original Leafgreen Sprites. September 14th, 2010 (3:50 PM). Wanna play my hack? Check it out here! My sig was "too big brah", so I shortened it. September 14th, 2010 (4:10 PM). September 14th, 2010 (4:21 PM). September 14th, 2010 (4:32 PM). 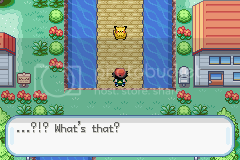 Th impresses me even more O_O I'm gonna play your Hack like right now. September 14th, 2010 (5:05 PM). September 14th, 2010 (7:59 PM). 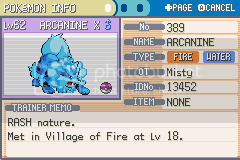 Is this the first Pokemon Hack that's completed? If not, what are the other ones that are complete? 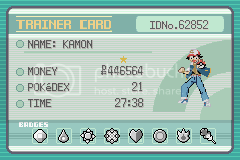 I'm still noob at Pokemon Hacking. I still want to learn so if you want to help me, feel free to do so. September 14th, 2010 (9:19 PM). Send a private message to Poke_a_Dialga! Find all posts by Poke_a_Dialga! Find threads started by Poke_a_Dialga! September 15th, 2010 (1:43 AM). Edited September 15th, 2010 by SonicBlazePlatinum. This has been completed in two months? 0.o You did say you had the time to finish it, so that does explain it. I will be playing this as it looks fun. September 15th, 2010 (3:49 AM). you used someones sprite...did you ask to use it?? oh and i got that lvl 100 mewtwo frickin sweet!!! September 15th, 2010 (11:33 AM). 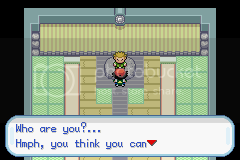 lmfao you already got the mewtwo?? 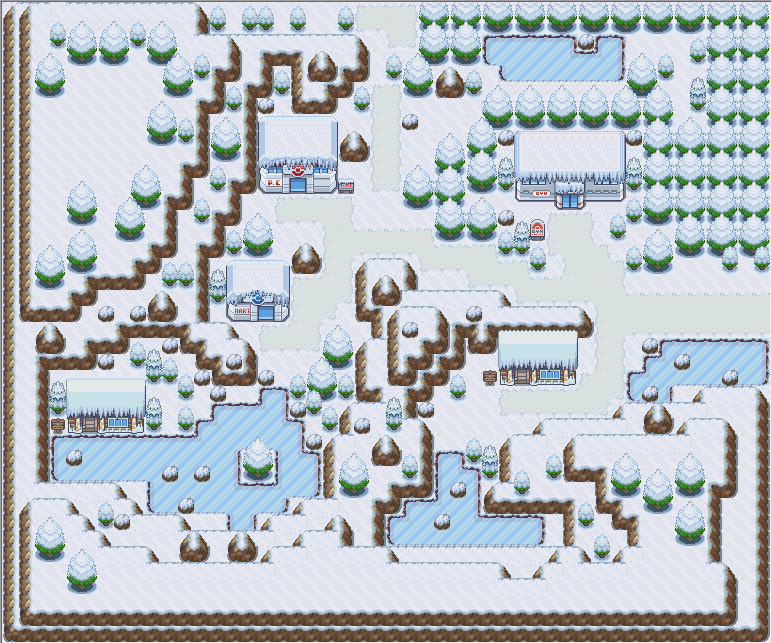 and as you can see from the screens the first map has been completely been redone. Also all the scripting has been redone as well. Enjoy and post the bugs please. September 15th, 2010 (12:24 PM). Downloaded this today and I am quite enjoying your hack. I absolutely love being able to catch such a wide variety of pokemon. Kudos to a very well done hack. I did find one possible bug though, I can't seem to read any of the signs. 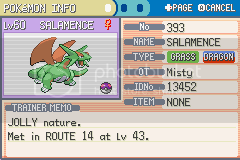 Twice I have "grown out" of pokemon, and twice I have re-discovered it. 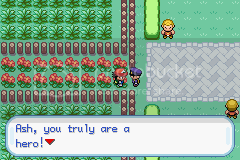 I'm a pokemaniac for life. September 15th, 2010 (12:29 PM). September 15th, 2010 (12:33 PM). Nothing is pointless if you want to make a good hack, everything adds up in the end. September 15th, 2010 (1:17 PM). Looks awesome. I'll be downloading it asap! I'll tell you any problems I have with it. Click above for my collab YouTube Let's Play channel! 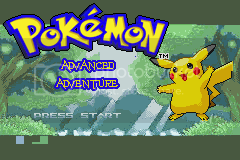 Featuring games like Pokemon SoulSilver, Mystery Dungeon, and Persona 3: FES! September 15th, 2010 (1:23 PM). Edited September 15th, 2010 by giradialkia. While the topic is straying a bit, this is true. While your hack did meet the requirements, I question your attitude. When it comes to hacking, ultimately the goal is to meet the standards of- no, to SURPASS the standards of the official games. While this doesn't mean you need to pump your hack full of ASM, you should always take care of the little things, whether that means scripting all the signs, or doing multiple scripts if a path is bigger than two tiles... You regardless of what YOU find pointless, you need to put in a bit of effort to make it look professional. However, I advise you make the wise choice, else I'll seriously consider my approval of this to the Showcase. Remember, a hack has to be of a certain standard, and if the hacker has an attitude such as yours, well... My expectations aren't very high. September 15th, 2010 (1:44 PM). Well, to be honest, I'm finding it hard to find reasons to keep this in the showcase. Yeah, sure, it's completed but the screenshots are full of tile errors and distasteful mapping. So yeah, I think I'll move this into Progressing Hacks until your hack appeals to me as showcase material (quality wise). September 15th, 2010 (2:21 PM). 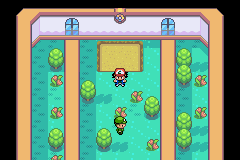 Excuse me this is the first hack i want to download... Do I have to have a greenleaf rom on my pc? September 15th, 2010 (2:26 PM). Yes, you have to download it off the internet. Then you use a program call Lips to patch the .ips file to the rom. 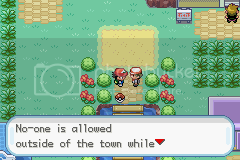 ~Pokémon Grey is not dead. September 15th, 2010 (4:54 PM). 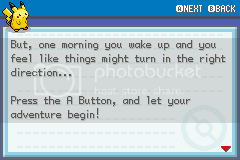 One morning you wake up, and surprisingly the Pokemon professor wants to see you. 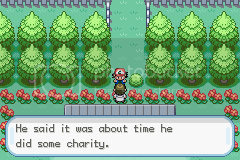 Apparently, his grandson suddenly took a change of events in his life and has taken over the Pokemon Headquarters. You are told to stop him and his 8 subordinates across the region. 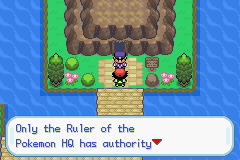 You will quest to stop the unjust ruler by defeating his 8 subordinates, the 8 tyrant pokemon running wild in towns and infiltrating the Pokemon Headquarters. 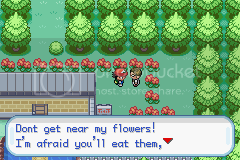 This hack was created because I felt as if the original Pokemon series was lacking something. It seemed as if all the games were technically the same, with no real storyline. 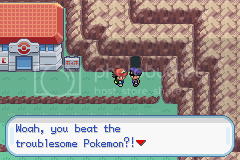 You just battle, obtain badges, and become the pokemon league champion. The same boring routine became old to me, and I felt as if i could potentially create a game that was more appealing to the player. This was done through the storyline. I find that the storyline still somewhat sticks to the original to give a sense of comfort to the player, but at the same time, is unique in a way that draws the player to want to continue playing. 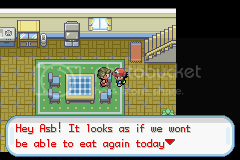 The game was done entirely by me, excluding some of the Ash sprites that I used from Metapod23. The game is complete with some bugs, but it shouldn`t take away from the game. I hope you enjoy the game and I hope to hear some feedback from you guys. Enjoy! 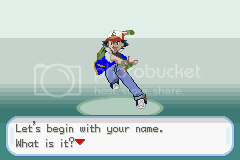 New Hero - Enjoy playing game as Ash Ketchum (see credits). Game is 100% Complete - Game is completely finished and has events after you beat the game as well! 30-40 hours of game play! 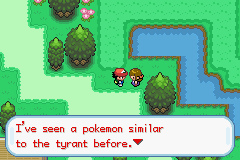 nice, i think the storyline is awesome, so the 8 tyrant pokemon kinda serve as Gym Leaders? 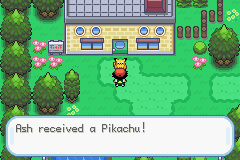 POKÈMON COLOSSEUM TRILOGY FOR RMXP!! COMING THIS SUMMER! September 15th, 2010 (5:04 PM). 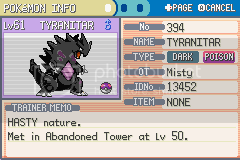 The 8 tyrant pokemon are extra, the 8 subordinates are kind of like the gym leaders.